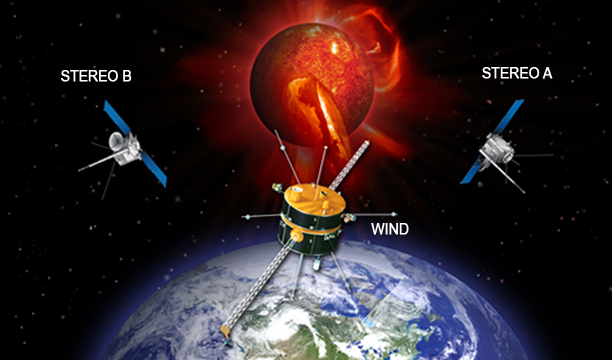 Welcome to a public education website for some of the NASA instruments studying solar wind (stream of particles coming from the Sun). April 09, 2012 Scientist observes a pattern of cells with bright centers and dark boundaries occurring in the sun's atmosphere, the corona. These cells looked somewhat like a cell pattern that occurs on the sun's surface -- similar to the bubbles that rise to the top of boiling water -- but it was a surprise to find this pattern higher up in the corona, which is normally dominated by bright loops and dark coronal holes.